With the start of the "Tank farm" for the Conoco TLP in the background. Added by Billy Winton on 29 July 2010. 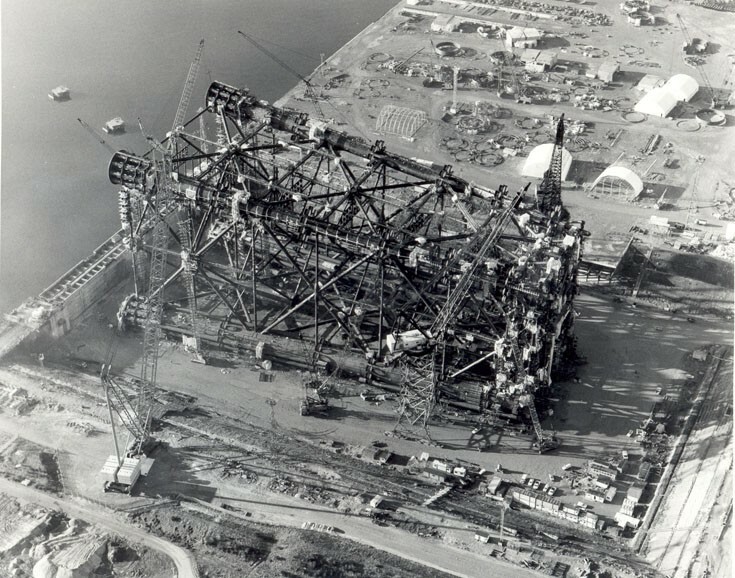 The Magnus was the largest steel jacket ever built in terms of weight - as far as I know it still is. Added by Garve Scott-Lodge on 01 August 2010. The tank farm is Nigg Oil Terminal, started by BNOC for the Beatrce field (I worked there during commissioning). The crane visible in the foreground was the world's biggest mobile crane and built on-site for the project. Added by Mike Riungu on 11 September 2014. Added by Mike Coxon on 10 June 2015. Added by Michael bowman on 10 December 2015.